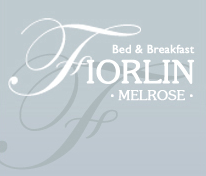 Fiorlin which has 4 Stars Visit Scotland Award is set within a walled yard and garden in a quiet location in the centre of the small quiet market town of Melrose in the Scottish Borders. A converted 200 year old parish school, it is within a few hundred yards of restaurants, shops and bus stops. The accommodation for up to 5 people is luxury en suite with private off street parking.